The story and video below were written and produced by ABC News. The story originally aired on May 7, 2018. CINCINNATI — Tyra Patterson recently had a moment she once thought she could only dream of: She got to hug the teens she says helped save her life. 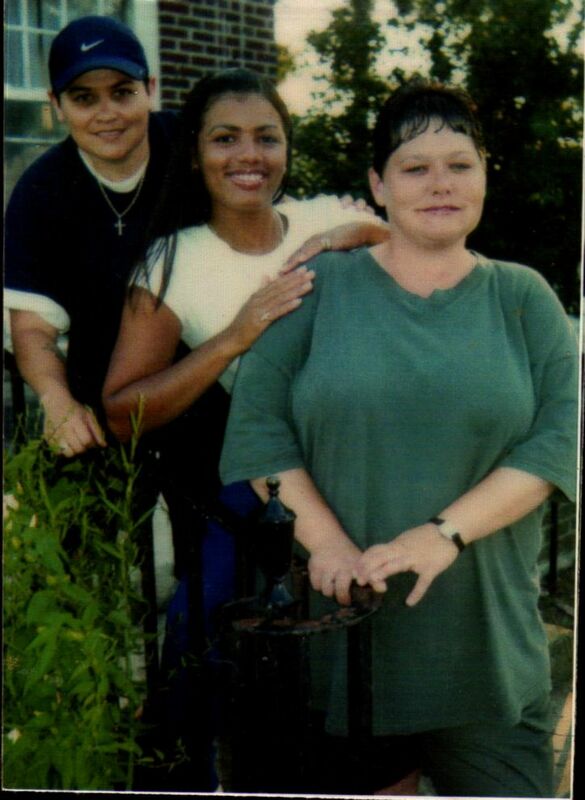 Patterson wasn’t much older than them when she was imprisoned for murder — even though she didn’t pull the trigger or even have a gun. Her confession, which she says was coerced, raised questions about the judicial system and led to a campaign to set her free. Then, in a stunning turn, the victim’s sister came to her defense, saying she didn’t believe Patterson was responsible for her sister’s death. It was the early hours of Sept. 20, 1994, when Patterson and her friend Becky Stidham were hanging out and smoking marijuana in Patterson’s apartment in Dayton, Ohio. Sometime after midnight, they went outside to look for a set of missing car keys and came across five young people whom they knew in passing. They tagged along with this crew, eventually getting in a car with three of them. There was another group of young people cruising those streets that night — 18-year-old Holly Lai Holbrook, her 15-year-old sister, Michelle, and three other friends were driving around stealing items from garages, or “roguing,” as Holbrook called it. Holbrook said her car was blocked in an alley by the car carrying Patterson. “I had a really bad feeling, the knot in my stomach that told me something was going to happen,” Holbrook said. According to Holbrook, a group of people emerged from the second car and tried to rob them. One of them was then-21-year-old Lashawna Keeney, who had a gun. Keeney then put the gun to Holbrook’s temple while another member of Keeney’s group tried to get a necklace her sister Michelle was wearing, Holbrook said. Holbrook’s sister was shot dead right in front of her. Holbrook said no one came out to help her. Patterson said she had already walked away by the time Keeney pulled the trigger, but unbeknownst to Holbrook, Patterson had heard the gun shot and was on the phone with 911. Later that day, police brought Patterson in for questioning. During her interview, which was partially videotaped, Patterson said she felt under pressure and falsely confessed to ripping a necklace off one of the victims. Patterson now says that she picked the necklace off the ground and stole it, but she was not part of the initial armed robbery. Patterson was among five people arrested. She was charged with five counts of aggravated robbery and one count of aggravated murder. She was able to be charged with murder because when a person is killed during the commission of certain crimes — in this case, robbery — all the conspirators to the initial crime can be held responsible for that person’s death. The next year Patterson’s case went to trial. She said her legal team advised her not to take the stand, but her confession tape during police questioning was played for the jury in court. Prosecutor Leon Daidone, who handled Patterson’s case, told ABC News that Holbrook, her sister and their friends were the only victims in this crime, not Patterson, and said the tape was key in proving Patterson’s guilt. At 20 years old, Patterson was found guilty on one count of aggravated murder and four counts of aggravated robbery. She was sentenced to 43 years to life in prison. Lashawna Keeney, the woman who shot and killed Holbrook’s sister Michelle, took a plea deal and was sentenced to 30 years to life. From the moment she was behind bars, Patterson vowed to fight to have her conviction overturned. A middle-school dropout, she used her time in prison to improve herself -– learning to read, earning her GED and eventually becoming a paralegal. And, remarkably, she became a mentor from behind bars, reaching out and telling her story to high school students. 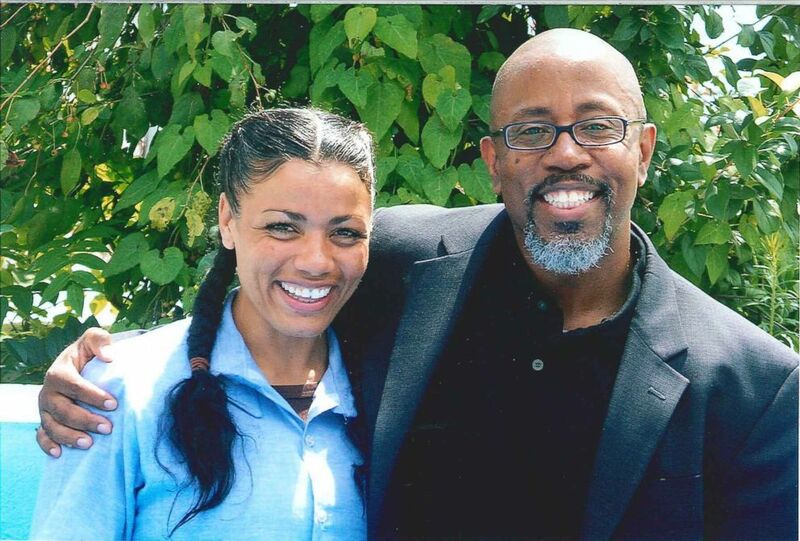 After 17 years in prison, she met David Singleton of the Ohio Justice and Policy Center. She told Singleton that she made a false confession, and that she picked up the necklace she was convicted of stealing off the ground. The biggest omission in Patterson’s defense, Singleton said, was the fact that the 911 call placed by Patterson was never introduced at trial. “The 911 call should have been put before the jury, period. There was no excuse not to put that call before the jury,” said Singleton. It was evidence that some jurors say would have swayed their votes. “It bothers me some now. It sure does to take that away from an individual, from a person, that much of their life, over half of her life,” he said. Patterson’s public defenders say they didn’t introduce the 911 call because they felt it was incriminating that she gave a false name. Singleton created a movement raising awareness, hoping to free Patterson. Local politicians and celebrities joined the effort to free a woman they felt was wrongfully convicted. Holbrook said she no longer speaks with any of her mother’s or father’s family members. “They all disowned me. No matter what they said, I was not going to let her sit in that prison,” Holbrook said. Last fall, Patterson was finally granted parole. On Christmas day 2017, after 23 years behind bars, she finally walked free. “I felt vindicated. I kissed the ground and gave thanks,” she said. Now 42 years old, she’s starting over, trying to regain all of those lost years with her family. 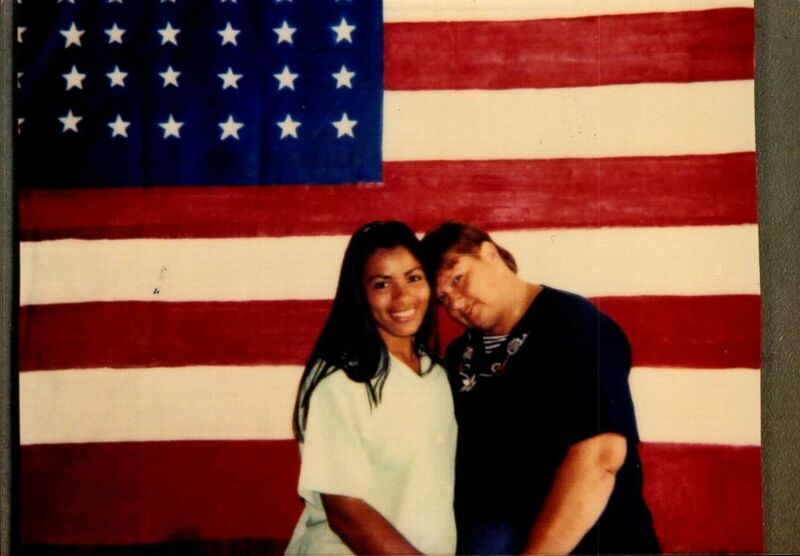 Jeannine Patterson, her mother, said she sometimes lost hope that she would ever see her daughter out of prison. “I would lie to her and say I had faith, but it was diminishing. It was fast gone. I thought I would be dead before she got out, but …” said Jeannine Patterson, choking up. “No, I knew,” Tyra Patterson said. Tyra Patterson is now working as a paralegal and community outreach director for the same organization that helped her get out of prison. 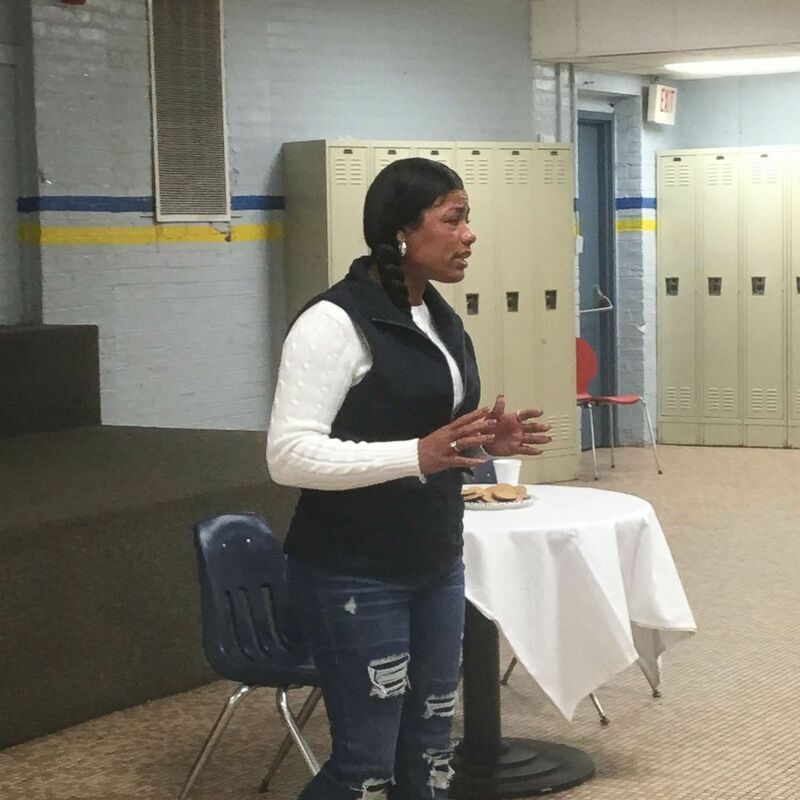 She has her own apartment in Cincinnati and is out on parole, under supervision for the next five years, and continues to use her story as a cautionary tale for others, sharing her message at schools across the nation. “My main message is to tell them to stay in school, graduate and reach your goals,” Tyra Patterson said. Tyra Patterson even stayed in touch with the group of high school students who gave her hope during those dark days in prison. She finally got to meet the students, whom she calls “my babies” in person for the first time. “I believe in my heart that if it wasn’t for Holly Lai [Holbrook] and my babies that I wouldn’t be here. It spoke volumes, so thank you,” Tyra Patterson said. As for what’s next, Tyra Patterson says she hopes to be exonerated or pardoned for the crimes that put her in prison.